Forward-looking: What will communication be like in the far-flung future? If there really does come a day when we’re able to project our thoughts into someone else’s brain, we might have just moved a tiny bit closer to that scenario. 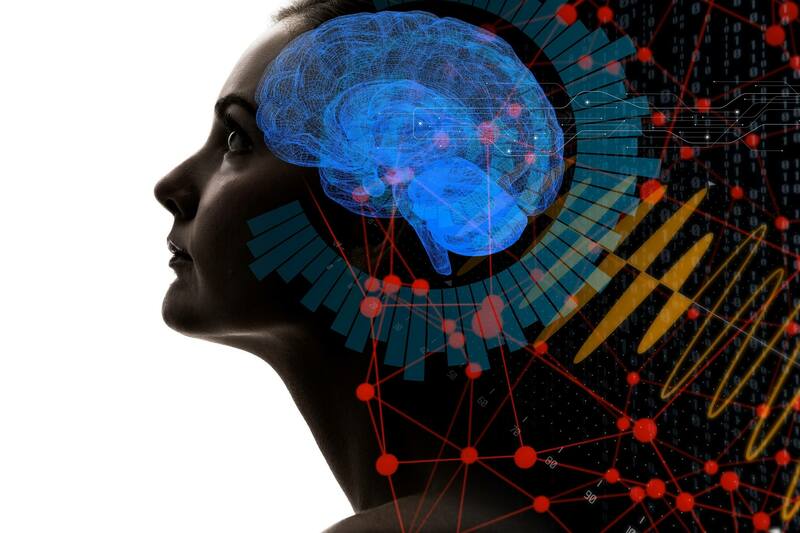 Researchers from the University of Washington, where the first non-invasive human-to-human brain interface was performed in 2013, have revealed BrainNet, which is described as a ‘brain-to-brain’ social network. The work described in a paper explains how BrainNet uses technology to send signals to and from different brains—don’t expect any Charles Xavier-style powers just yet. The system used three people: two who send the brain signals and one who receives them. All of those taking part are attached to an electroencephalogram (EEG) device that records electrical activity in the brain, while the person receiving the signals is also connected to a machine that causes transcranial magnetic stimulation (TMS), which stimulates reactions in the brain. The three subjects were linked to play what is essentially a very simple Tetris-style game. The senders, who could see the whole screen, would focus their eyes on a 15Hz flashing LED if they wanted to rotate one of the pieces. This would generate brain waves at the same frequency, which would be transmitted to the receiver. This person, who could only see the falling pieces, receives the signals, which are then converted by the TMS into a spot of light in their vision—an indication that the block needed to be turned. 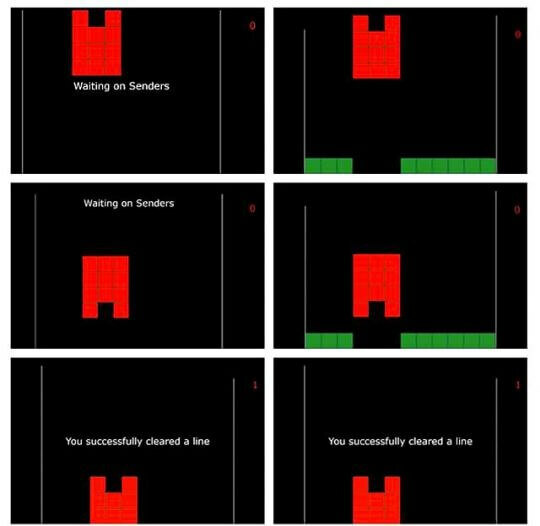 Using 15 people spread across five groups of three, the overall accuracy was 81.25 percent, which is even more impressive when you consider that the researchers occasionally made one of the senders send incorrect signals, leaving the receiver to figure out which instruction was correct.